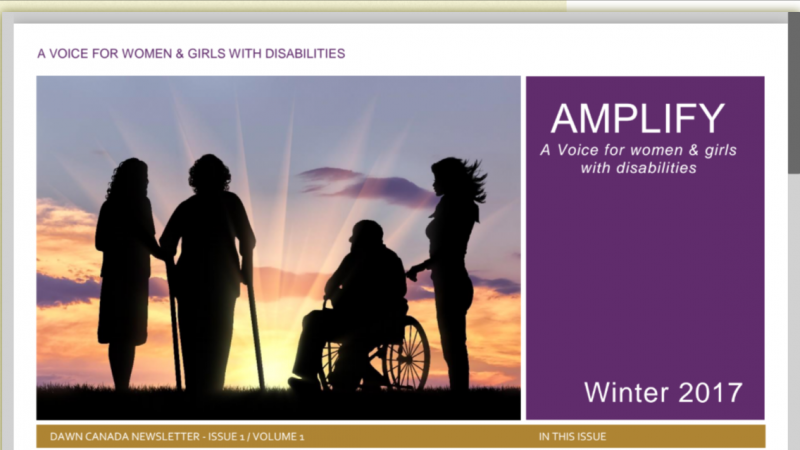 This first issue of AMPLIFY is about recognizing the systemic barriers faced by women with disabilities and what those gaps mean to women who are already experiencing violence at the highest rates. With the close of the 16 Days Campaign for 2016 behind us DAWN Canada is bent on keeping policy makers and service providers focused on one thing in 2017 – a better response for women and girls with disabilities. How much more evidence do we need to do better? DAWN Canada is determined to AMPLIFY our message until we see real change and that will only happen when there is a sense of collective responsibility towards ALL women….